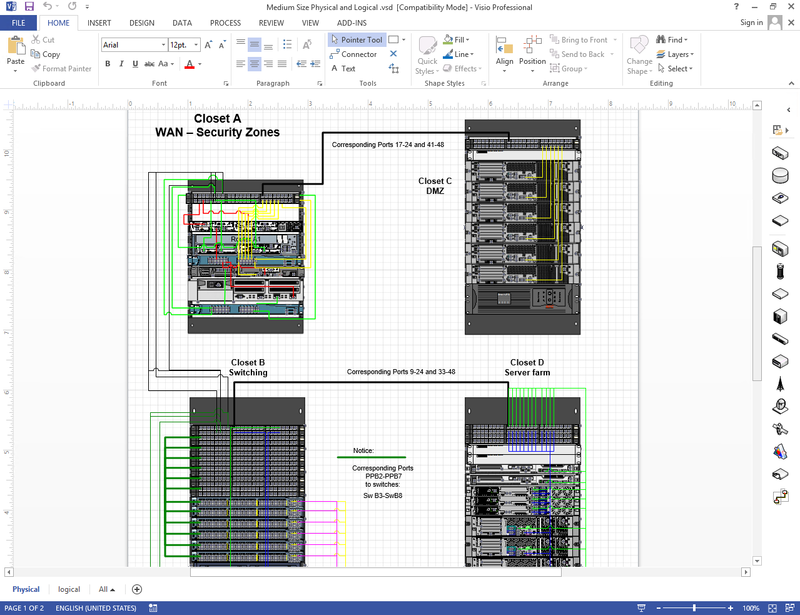 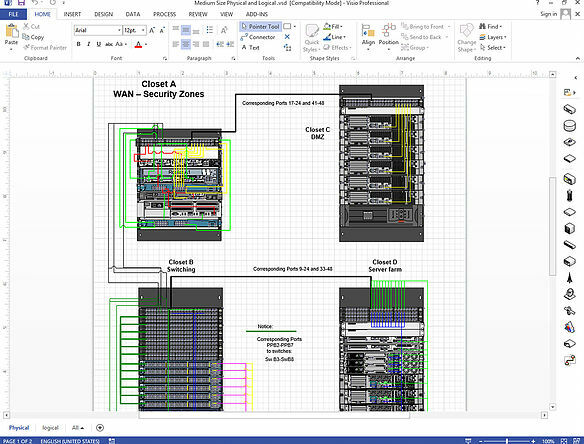 Are you using Microsoft Visio to create network or server room diagrams, data center floor layouts or rack elevations? Visio Stencils by NetZoom helps you model and visualize the data center to any level including: site, location, floor, room, zone, pod, row, rack, device, card, and port as well as all the interconnectivity between the ports. 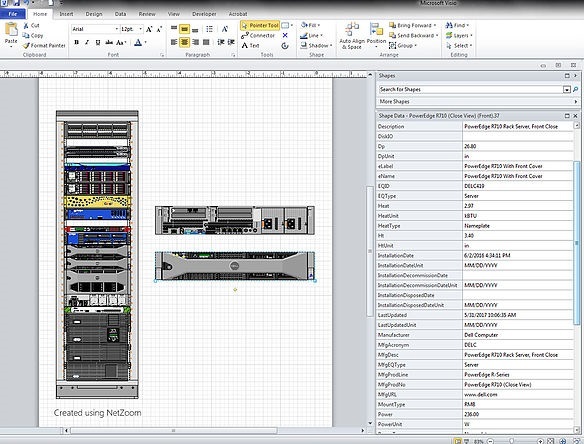 Drag and drop any server or any other device into an empty rack and copy and paste the same rack as needed. 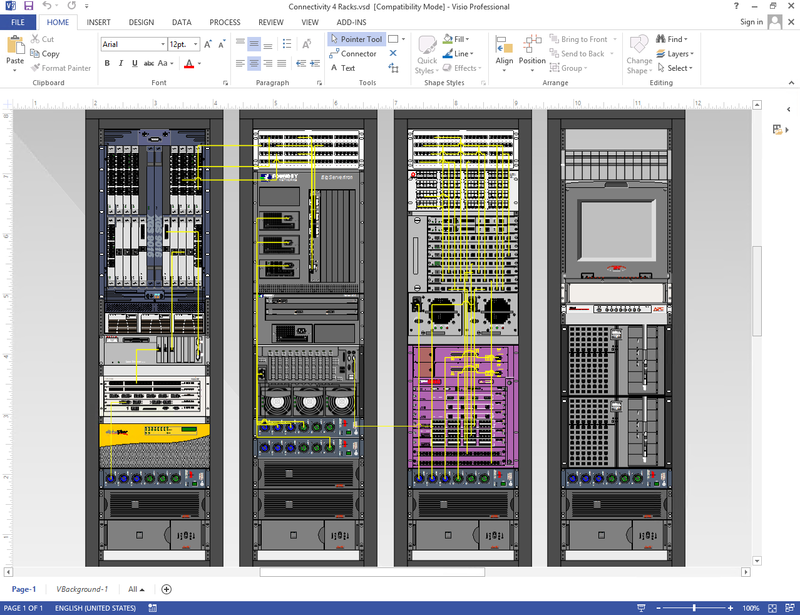 The fully scalable and detailed vector graphics allow magnification to high resolution to achieve accurate technical documentation of your infrastructure. The built-in ports enable the creation of port-to-port connectivity diagrams.